Tales of the Elsmo Four: Signage! 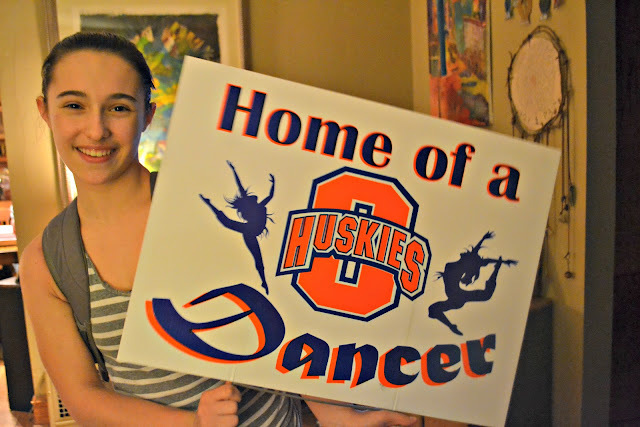 Emma came home with her version of a high school yard sign last night! Don't let the fact that isn't a more traditional soccer, football, or lacrosse sign fool you; these OPRF dancers are no joke. They are dancing nearly five days per week right now and having a marvelous time together. Emma and company are busy preparing for the upcoming Orchesis shows that revolve around a Disney-Pixar theme. Emma is lucky enough to play Cinderella in a lovely little piece set to music by Florence and the Machine. Sunday April 23rd at 3pm.